“The Fool” is card 0. Tarot Booth is a deck of the 22 Major Arcana tarot cards created entirely in analog photobooths. Each card consists of four unaltered chemically processed photobooth strips. Started in a dive bar in New York City in 2011 and finished on the streets of Berlin in 2017, Tarot Booth uses cardboard symbols, costumes and painted backdrops to tell the story of the fool’s ascension. For the month of November, Sofia will be offering telephone tarot readings using the Tarot Booth deck. Contact her to schedule a reading. Sofia Szamosi is from New York City. 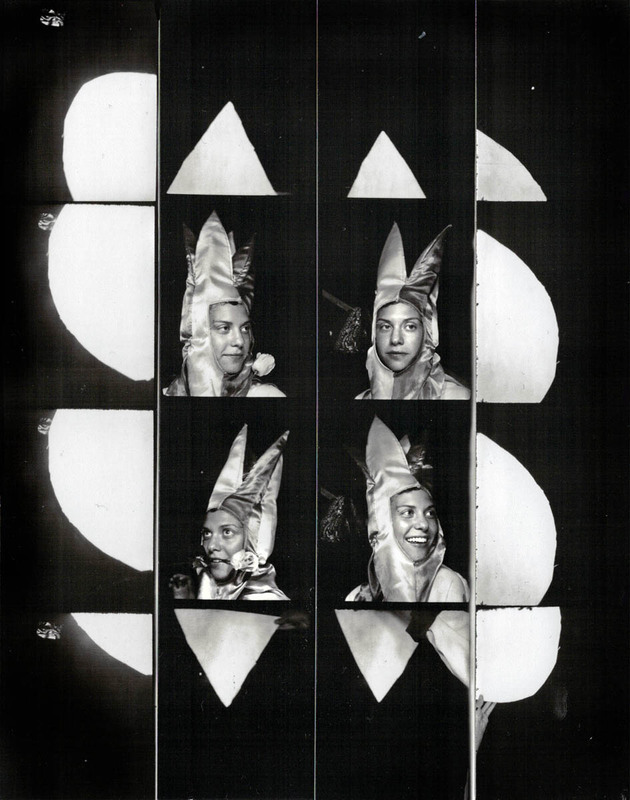 She has been making art in analog photobooths around the world since 2006. Szamosi’s photos, videos, paintings and picture books have been shown in group and solo exhibits at Open Source Gallery, Superchief Gallery and Proto Gallery in New York and the Center Galleries in Detroit.